Parents, have you been looking for a way to make this holiday season more meaningful with your kids? The children’s ministry invites you to join us for our family advent celebration on Wednesday, November 30 from 6:00-8pm. 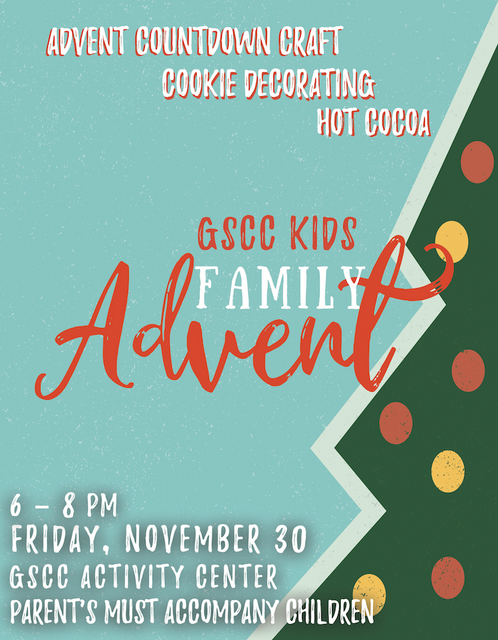 Kids and their parents will decorate cookies, drink hot cocoa, and make a special keepsake, all while learning about advent. Parents will be given all the tools needed to make this Christmas stress-free, meaningful, and fun. Cost is $5 per family. This could be your best Christmas ever!